I love the way this design is so simple, but it gets the point across incredibly well. 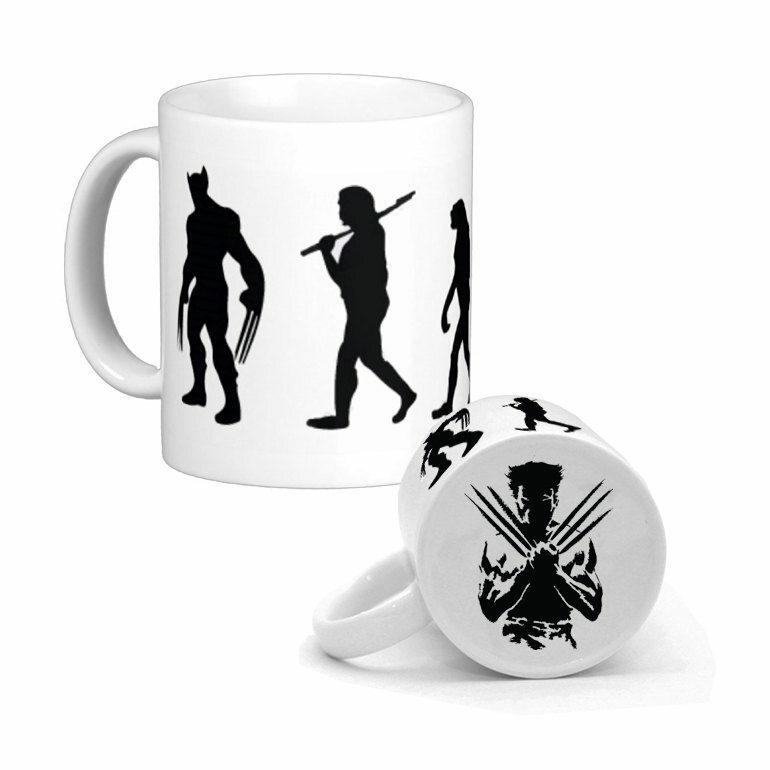 This design might be more complex, but it's great for any X-Men fan. 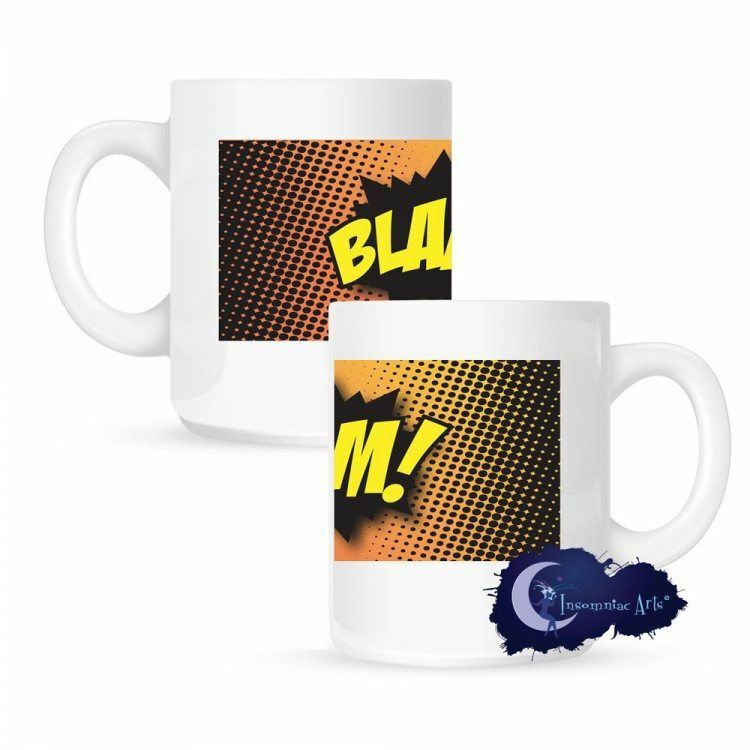 This particular mug is inspired by superheroes and by comic books in general. 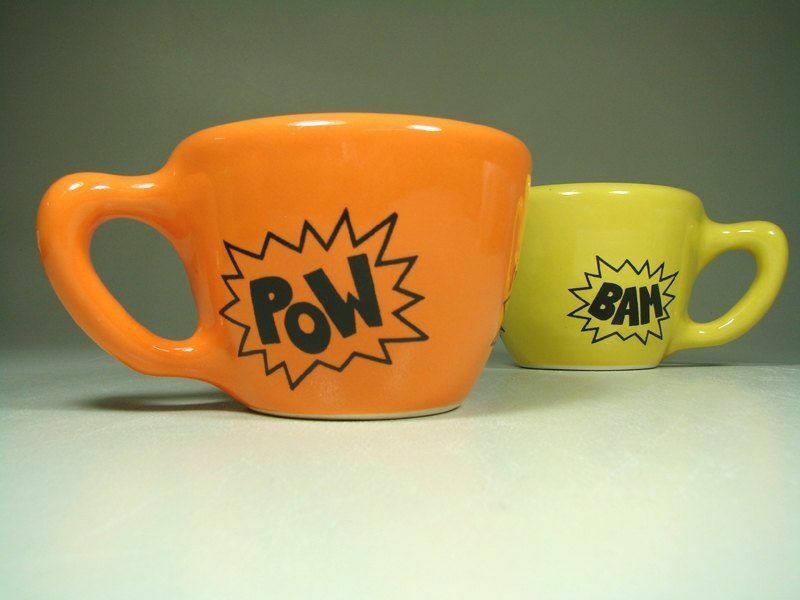 To me, images like this remind me of that corny Batman and Robin TV show. 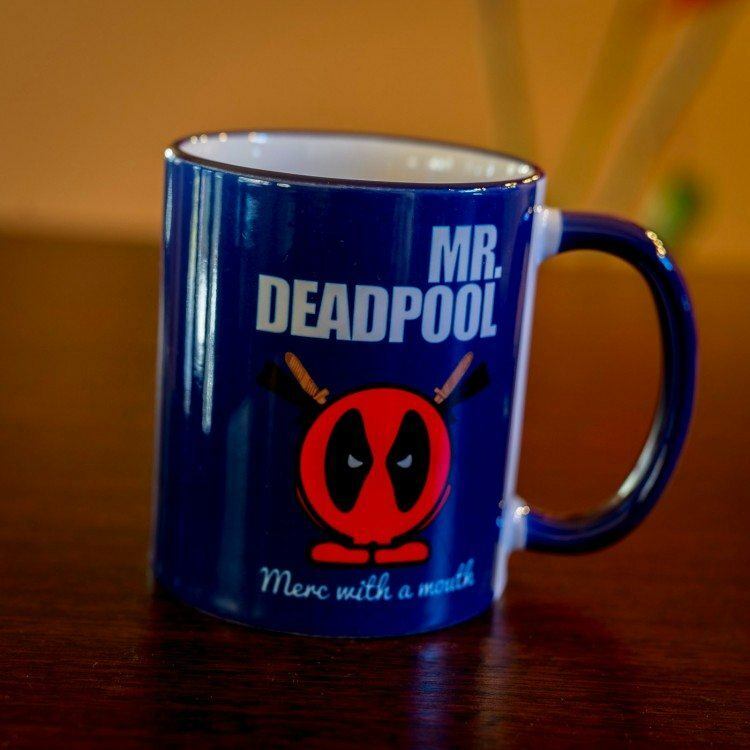 With the Deadpool movie released not so long ago, it isn't particularly surprising that Deadpool products are becoming increasingly popular. 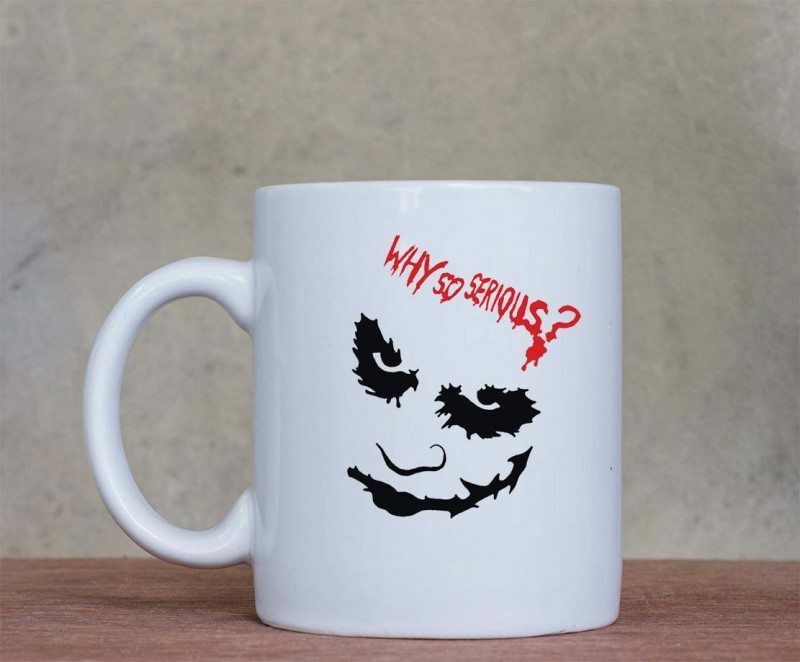 Personally, I love the graphic on this mug. It's instantly recognizable as Spiderman, but at the same point, it's still a really unique picture. 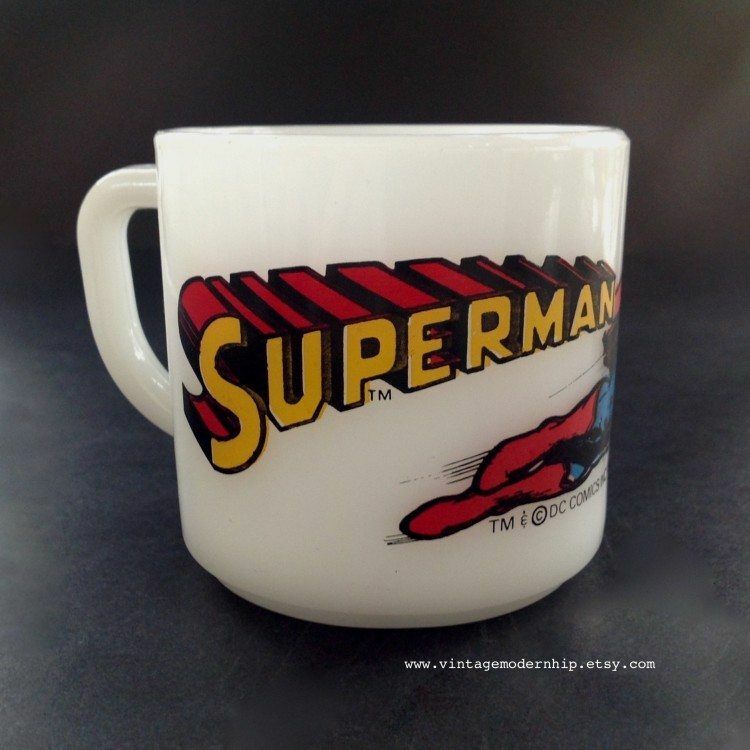 The personalized nature of this mug would make it a fun gift for any Wonder Woman fan. This one is a little bit different because it's not a handmade product. Instead, it is a vintage item that seems to be at least somewhat rare. 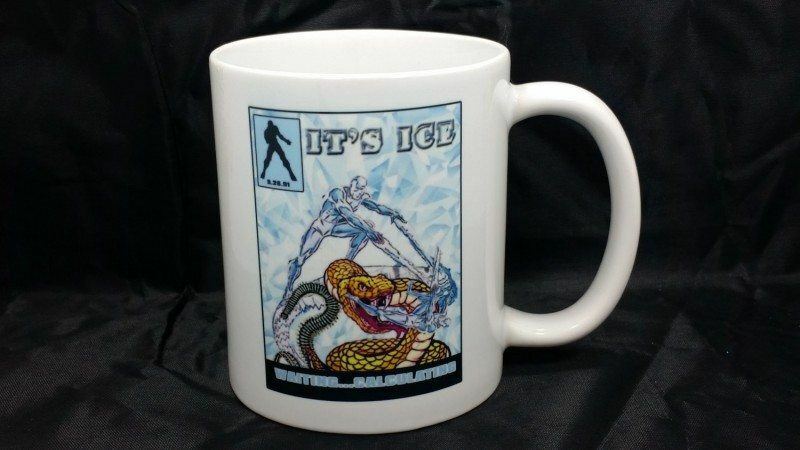 This is another cup that has really cool styling and imagery. The choice of characters is interesting too because most of the focus seems to be on Batman these days, rather than on Robin or Nightwing. 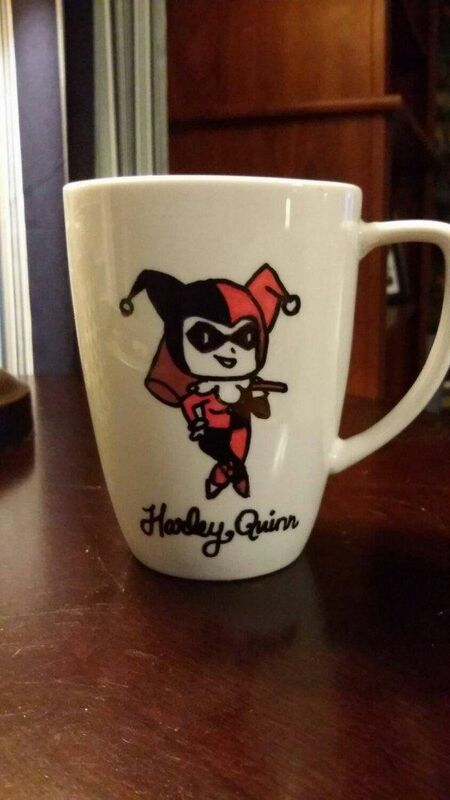 This little version of Harley Quinn is certainly cute and a bit of fun if you want something different. 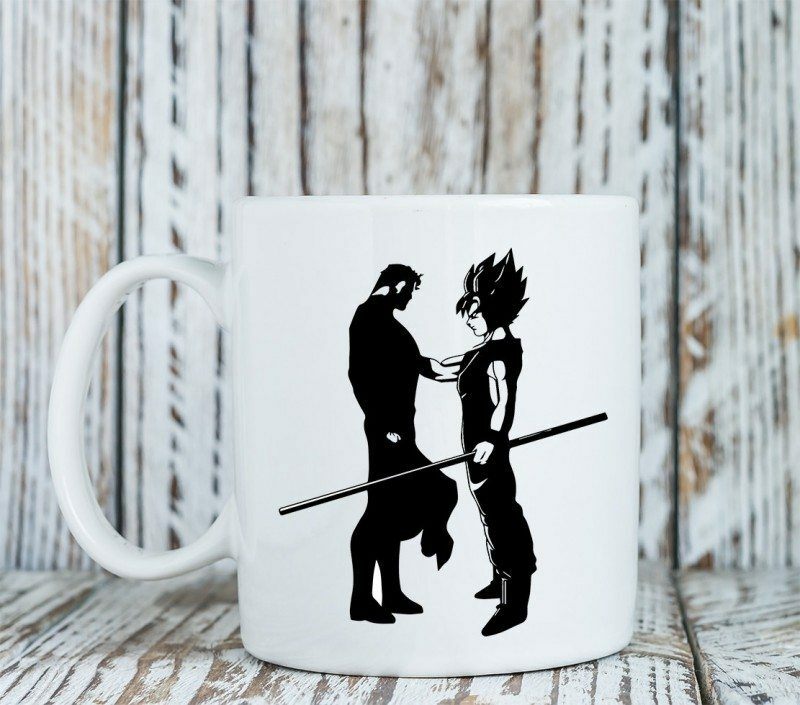 Here's another cup that has some pretty unique artwork. 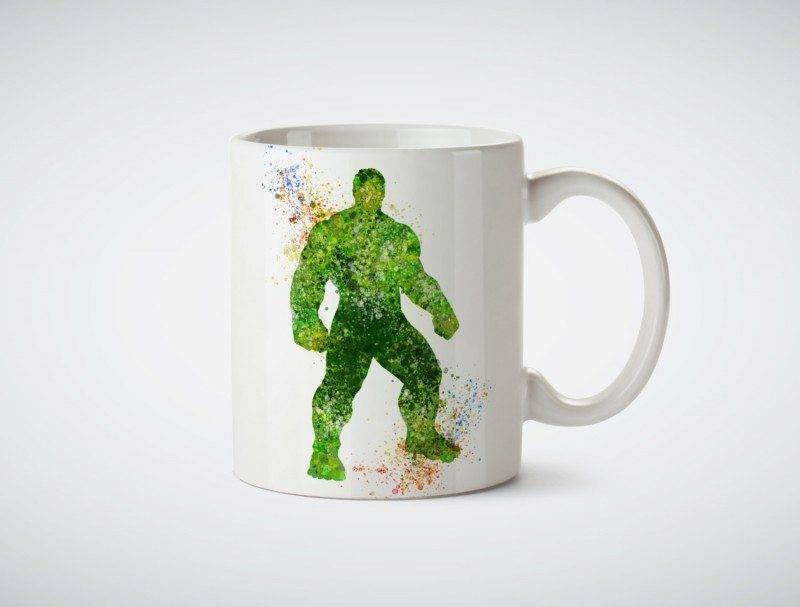 I love the watercolor nature of the image and the seller actually has a large range of superhero cups in the same style as well as other types of superhero-themed items. 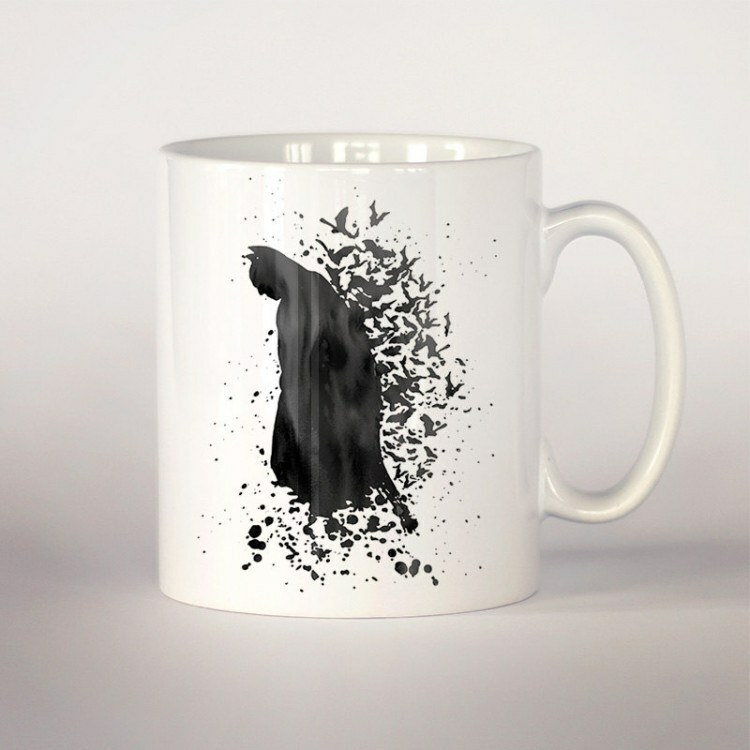 This one is a bit clever and including an image on the bottom of the cup really does work well. 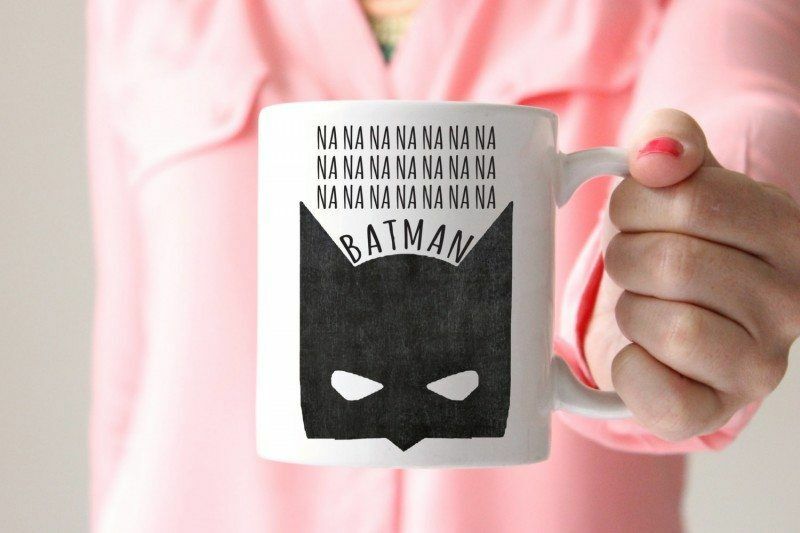 This one only really works if you know the theme song for the Batman TV show, but honestly, I suspect that most people still do. 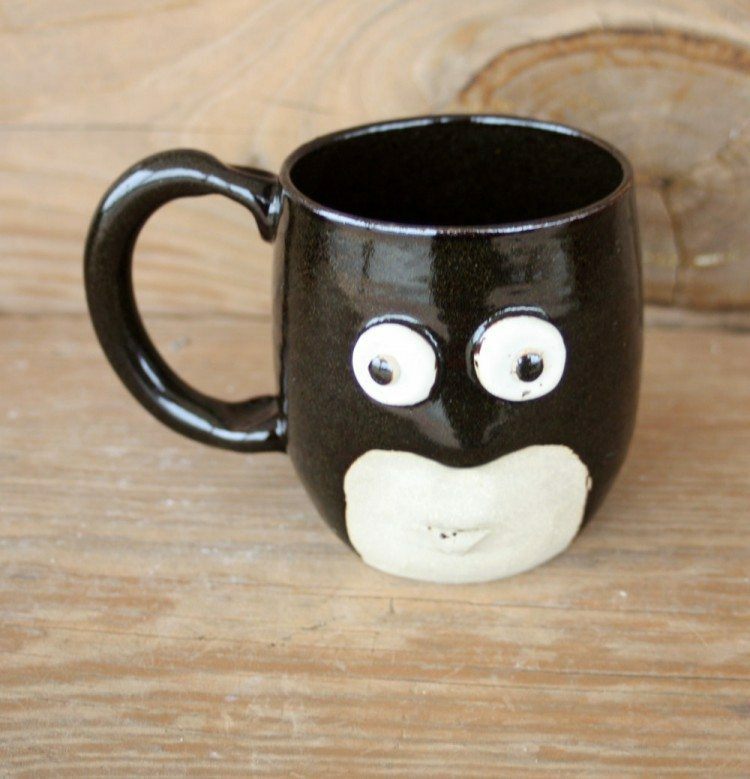 Here's another example of a mug that isn't homemade. Even so, it's a great option if you're looking for something unique. 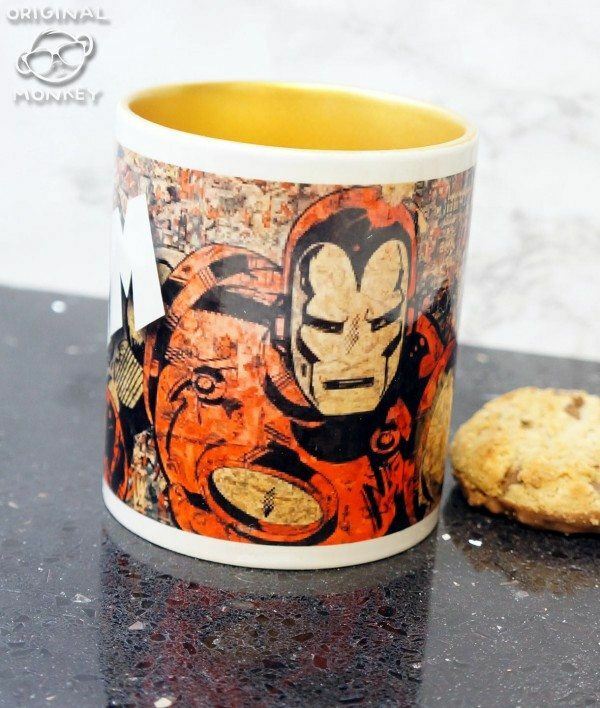 The retro styling on this cup is a bit of fun, especially for people who have actually read Iron Man comics. 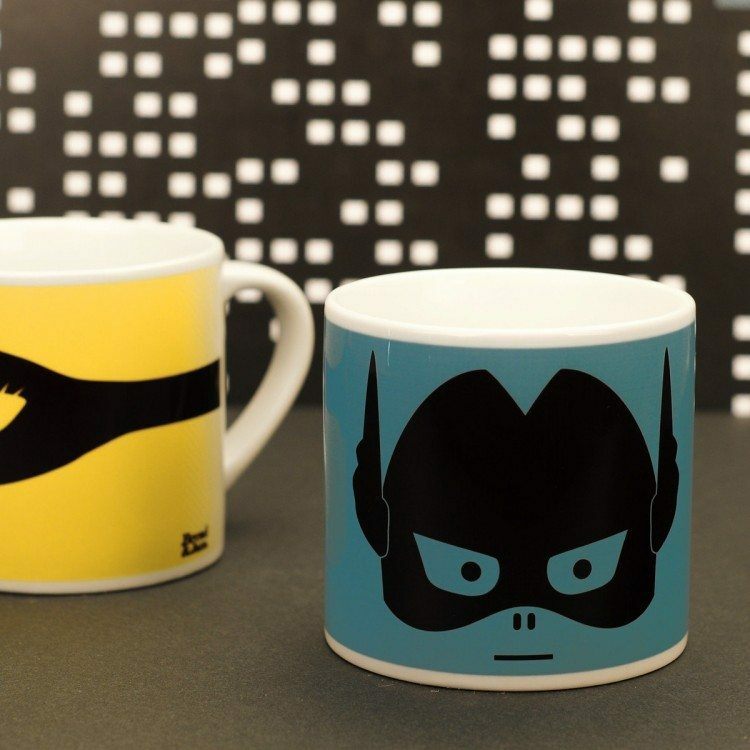 There are four different mugs to choose from with this set. I like the fact that they are generalized superheroes, which would make it easier for kids to identify with them. This entry might seem a little unrelated if you're not very familiar with the organization of Hydra. 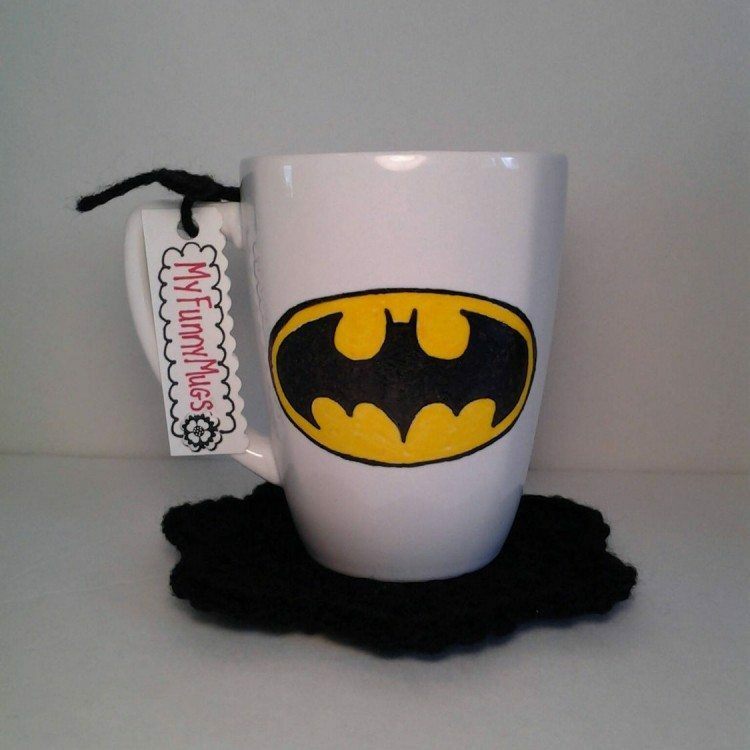 Technically the cup represents a collection of villains rather than superheroes, but it was too unusual to leave off the list. 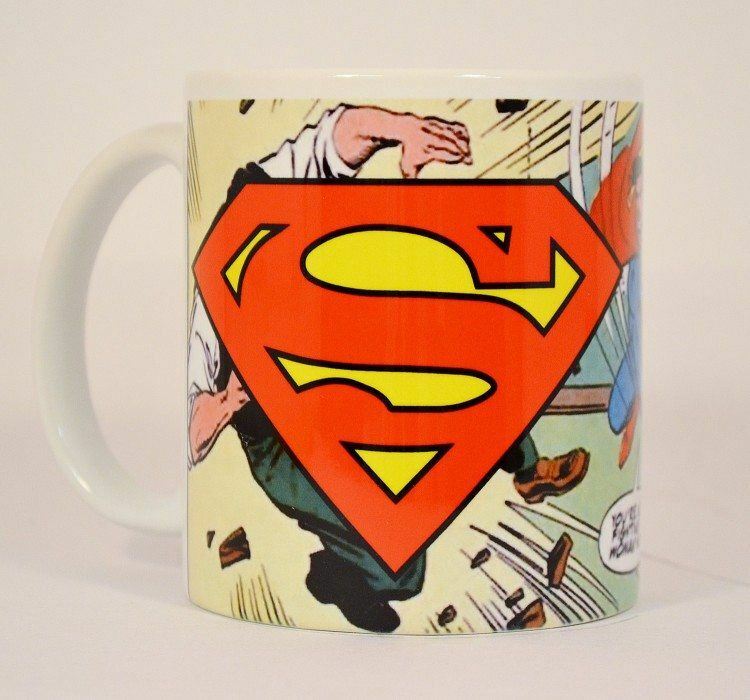 Here's another cup that takes inspiration from the comics, rather than any modern examples of Superman. 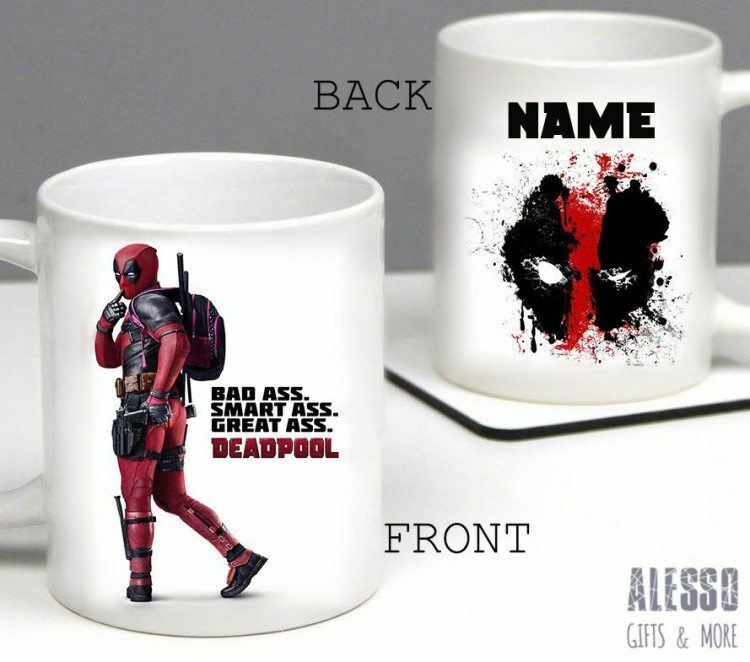 Admittedly, the figure of Deadpool on this cup looks a little odd, but I suspect that is the point. Regardless, the text sums up his character perfectly. 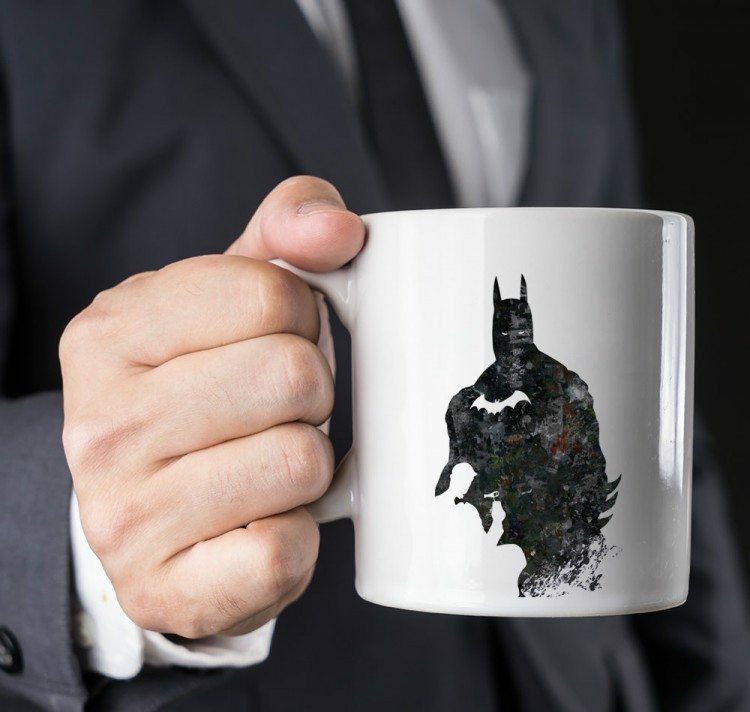 In terms of imagery, this is probably my favorite example of superhero coffee cup artwork, but I might be biased because I'm a big fan of Batman. 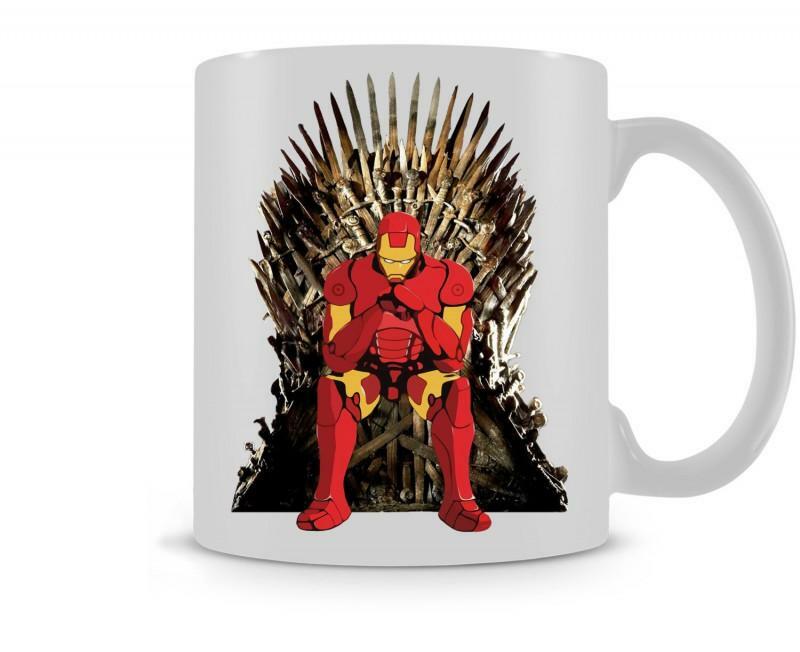 With the popularity of Game of Thrones, putting Iron Man on the iron throne is very relevant and quite amusing. 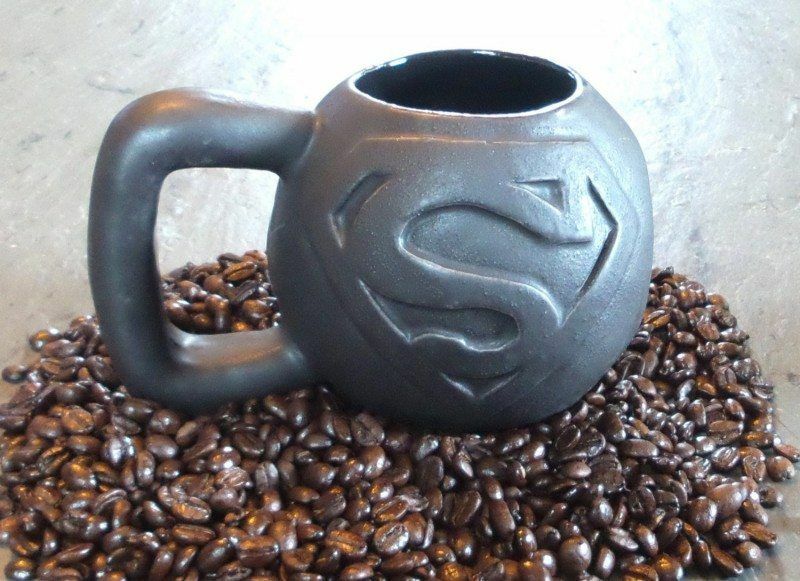 Combining a comic book scene and the Superman logo is a clever trick and makes this mug all that much more interesting. Most of the cups here have designs printed on them, but that isn't the case here. 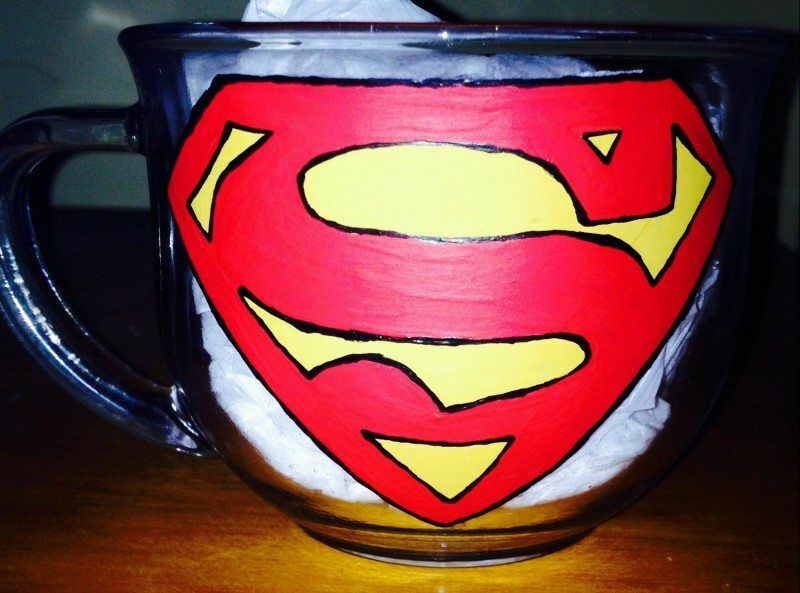 A hand-painted version of the logo is pretty neat, especially as there would be subtle variations from one cup to the next. 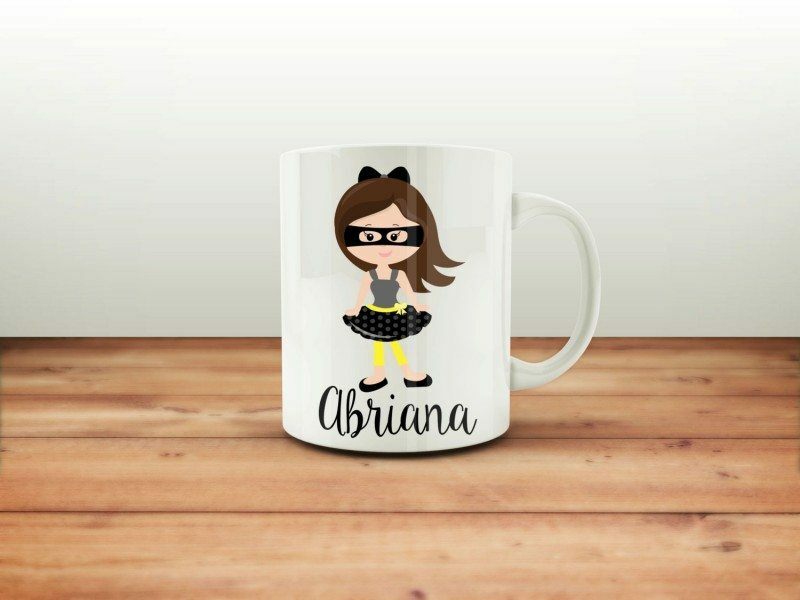 In fairness, Batgirl doesn't actually dress like this, but the cups are targeted at kids so I don't think that matters. 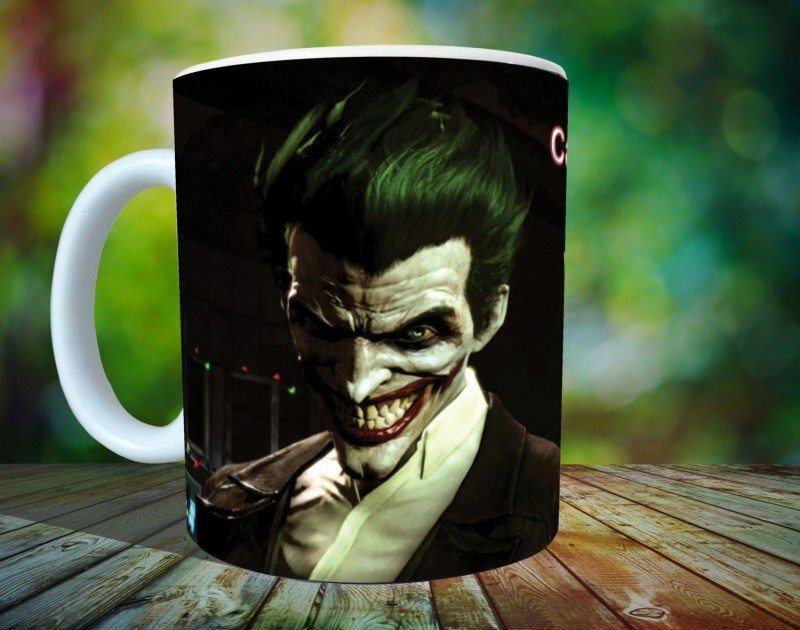 I like mugs like this because they are more than simply an image painted on a cup. 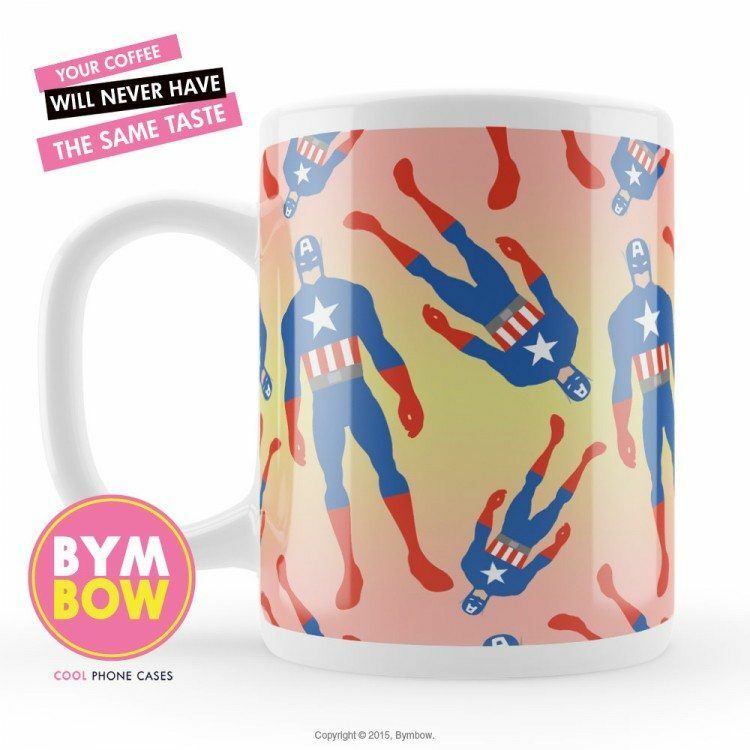 If nothing else, this mug would make people stop and look twice. 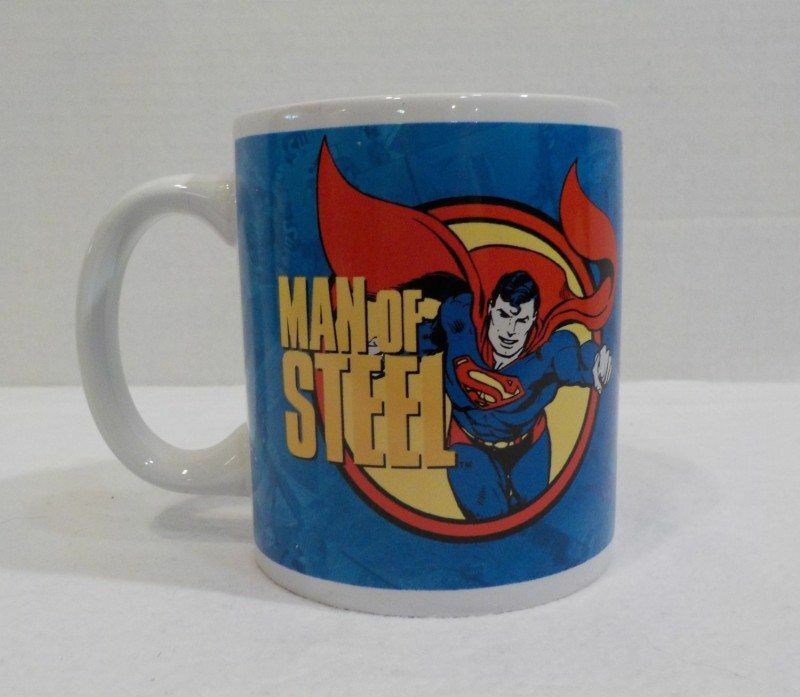 This mug design works well for anyone who liked the Man of Steel movie more than the Superman comic books. 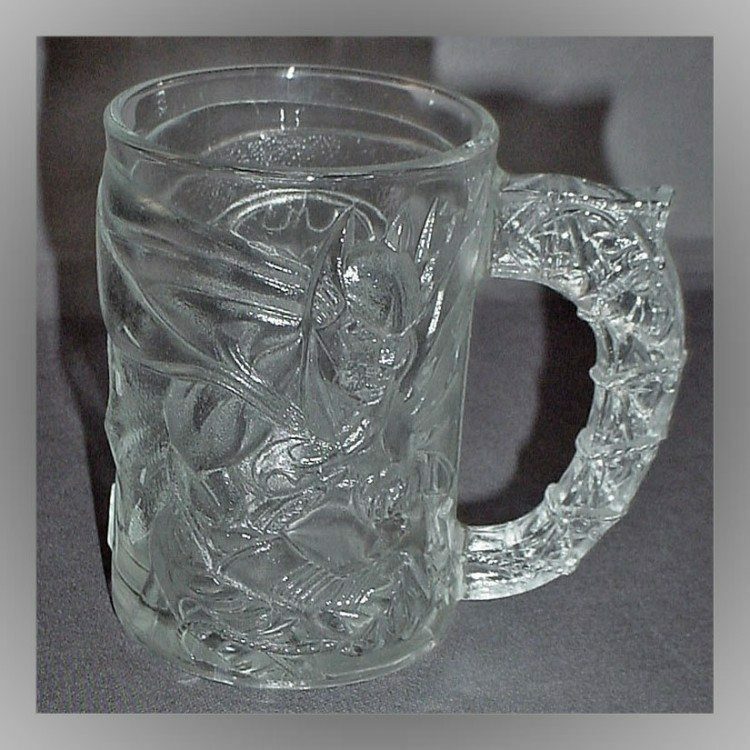 It's hard to see the design in this glass from the image, but I imagine it would look really neat if the glass mug was filled with cola or something similar. Why settle for one Captain America when you can have more than a dozen versions of him? I like this one. It's simple and it's fun at the same time. This representation of the Joker from Batman is pretty fun. I'm not actually sure which version of the Joker inspired the image, but regardless, it is a striking visual. Okay, this is another example of those superhero words. 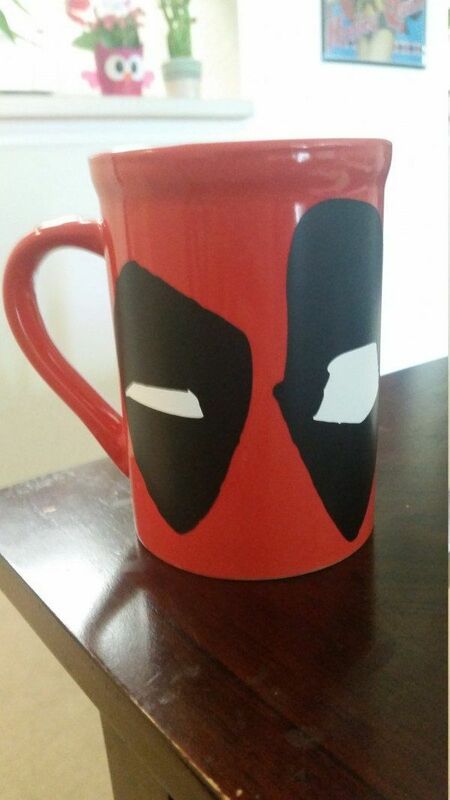 Although, you have to admit, the shape of the cups is also a bit unique. 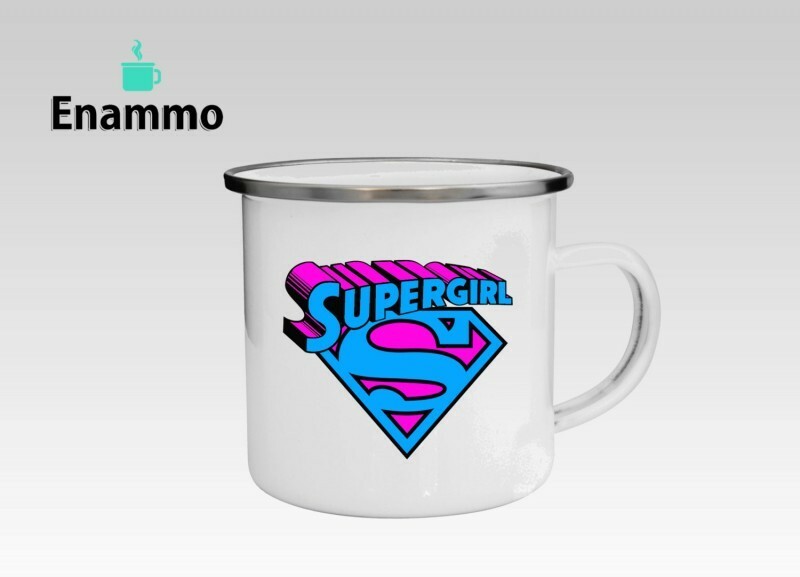 Custom enamel cups aren't all that common, but I do like this one, especially for girls who go camping. 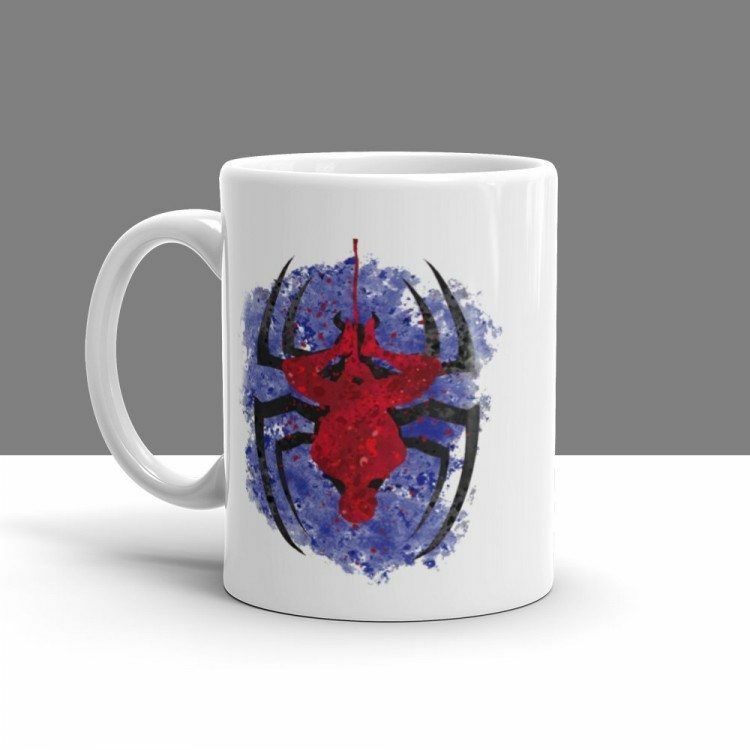 This is another example of the watercolor approach, which stands out really well on a white coffee cup. 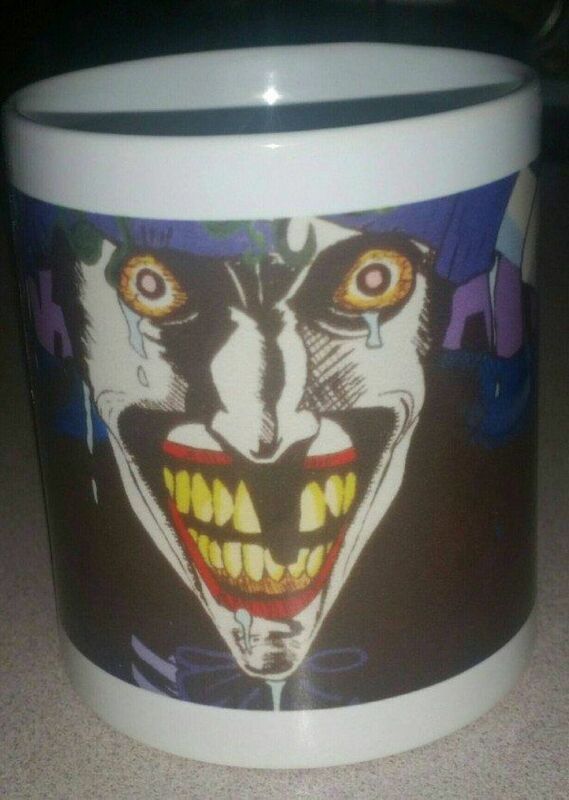 I showed a unique version of Joker earlier and here's another one. I'm pretty sure this image comes from a comic book and it certainly is a startling portrayal of the character. 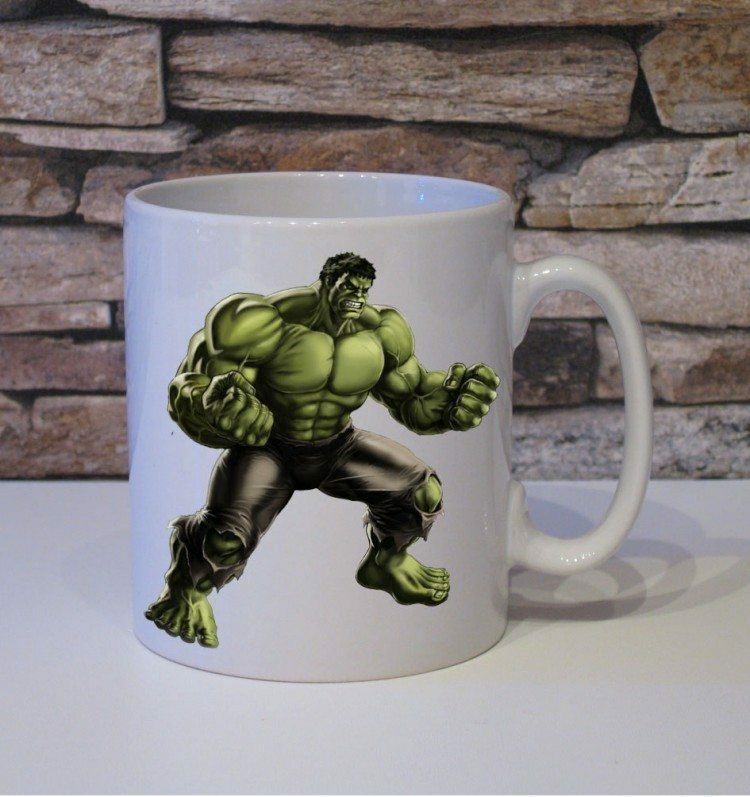 As a character, the Hulk often doesn't get enough attention, so here's a great version of the Hulk on a white coffee cup. This pair of characters is clever, especially as there are a lot of online debates about which one would win in a fight. 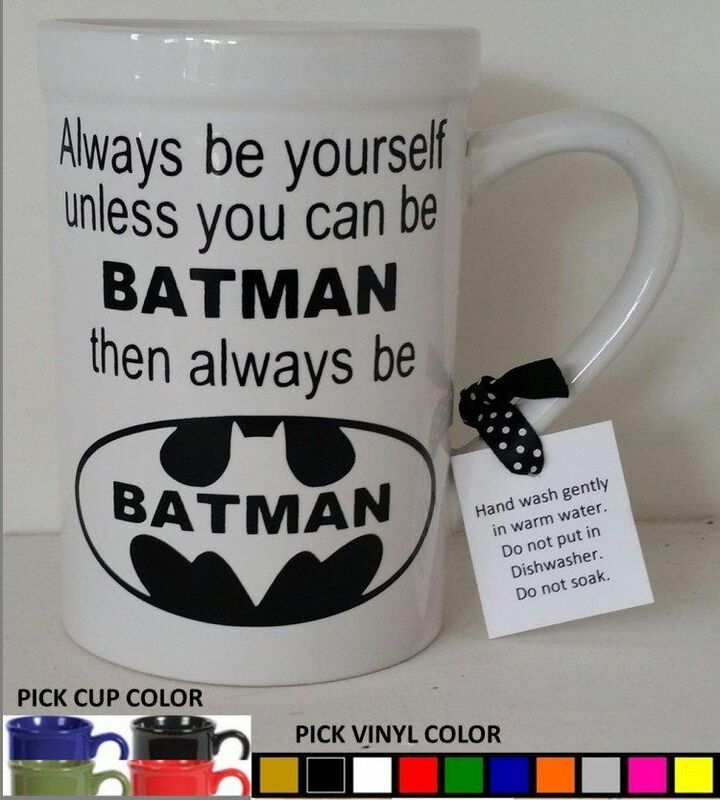 ‘Always be Batman' – yeah, that sounds like good advice. 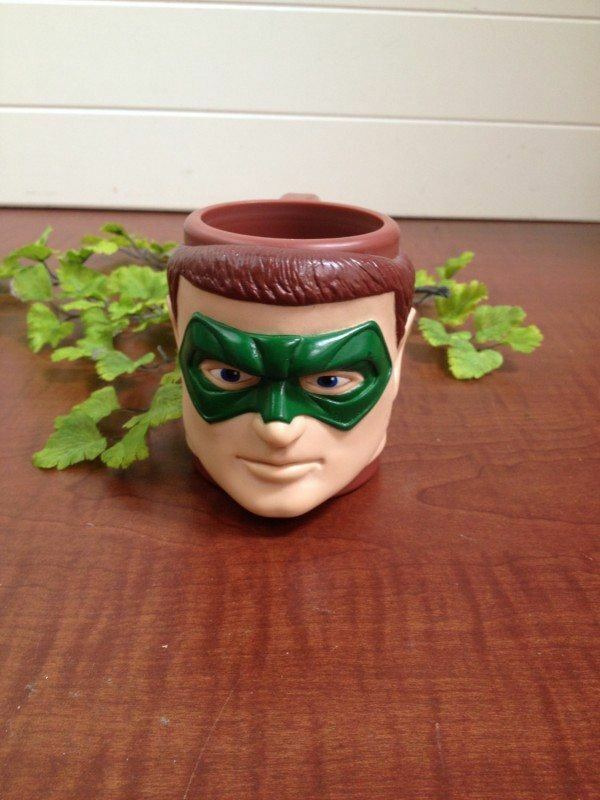 This cup is a bit different. 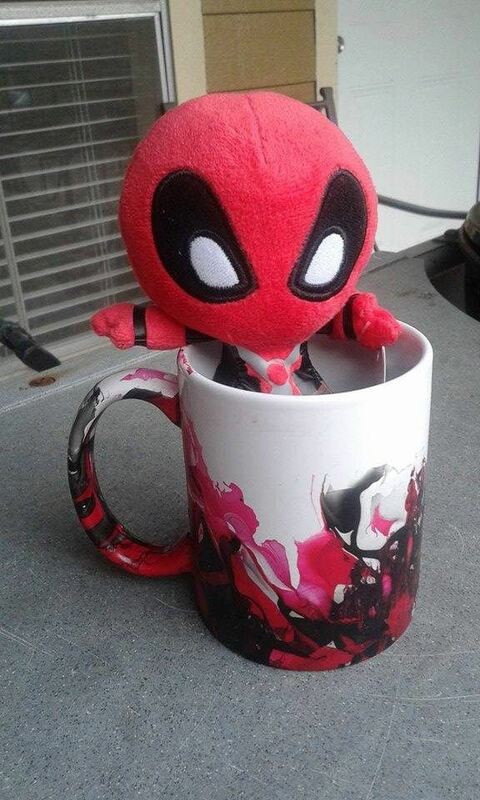 It doesn't have any images of Deadpool on it (and doesn't actually come with the toy). Instead, it's all about the colors. 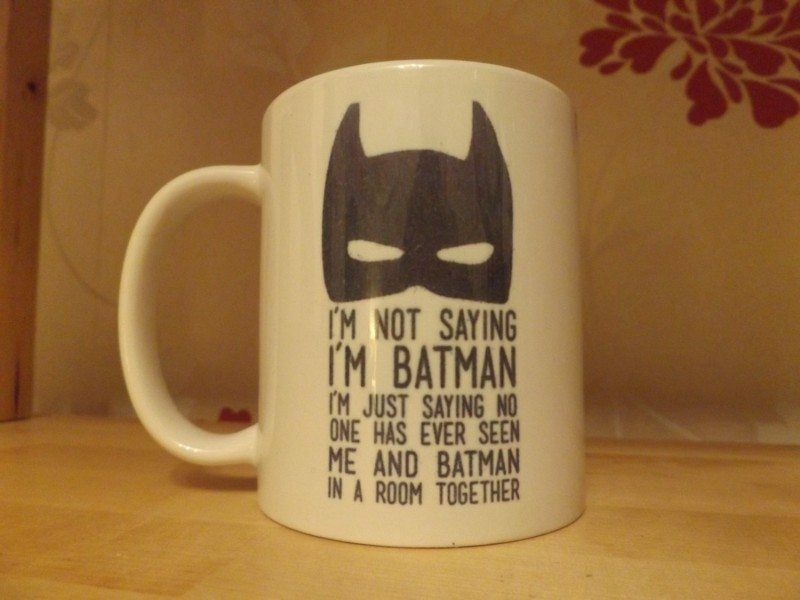 I've heard this line before, but admittedly, it does work pretty well on a coffee cup. 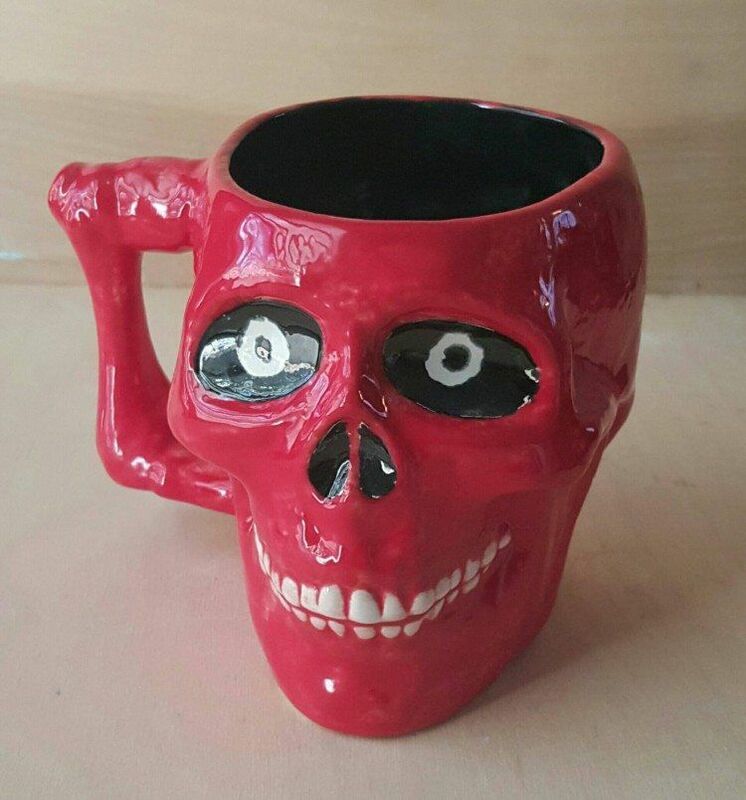 This coffee cup caught my eye because it really is unusual. 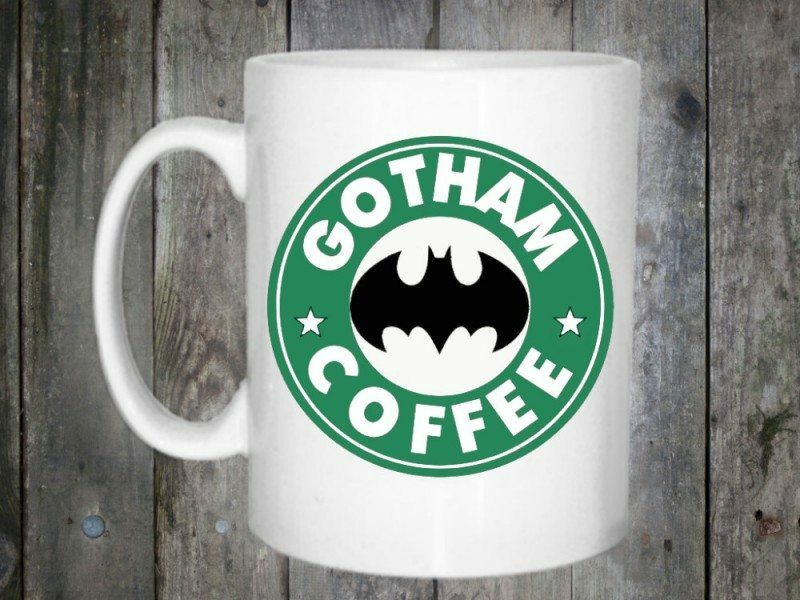 I'm not sure how many people would buy and use a coffee cup like this, but if you want to be unique, why not? 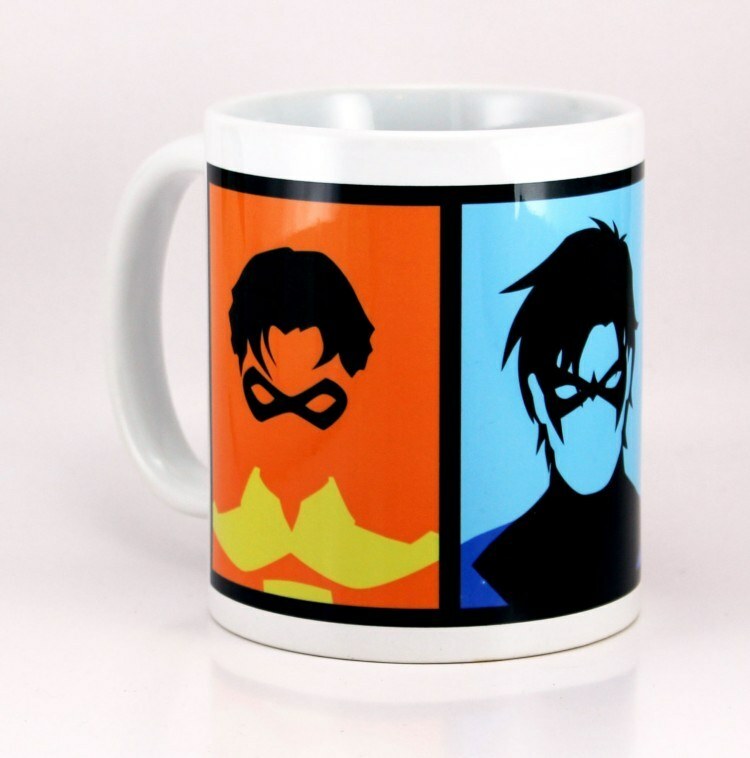 The style of this cup is different than every other one on this list and I especially love how bright the logo is. 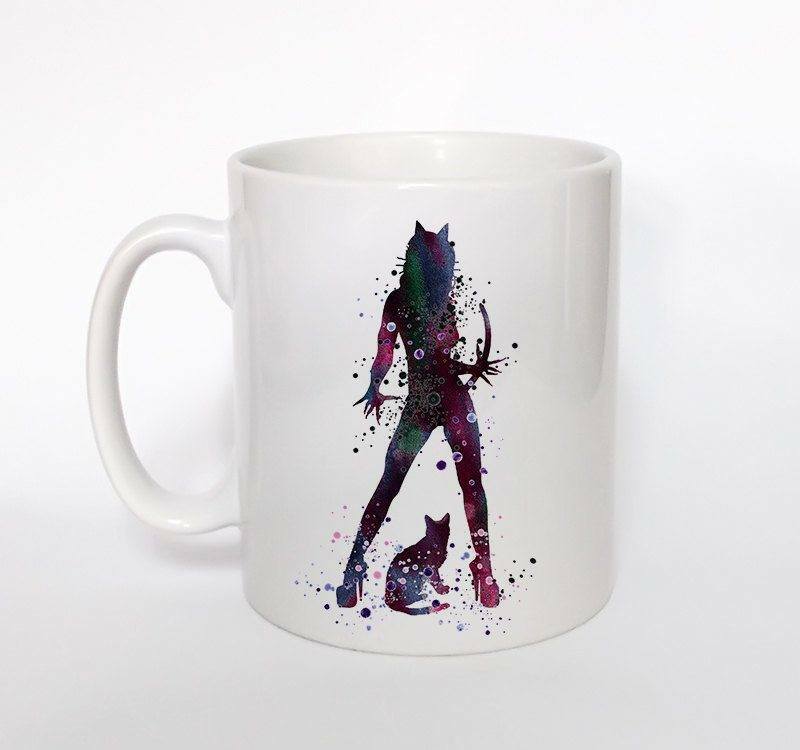 This is another Etsy store that uses a watercolor style for its superheroes (well, Catwoman's not exactly a hero, but you get my drift) and the end result does look great. 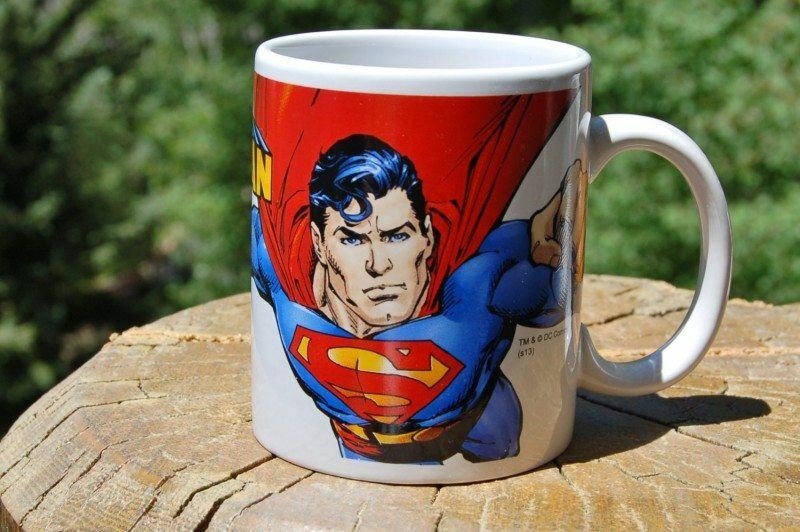 Superman is an extremely popular hero, so the amount of products based on him shouldn't be a surprise. Still, I particularly like this one and the image works really well. 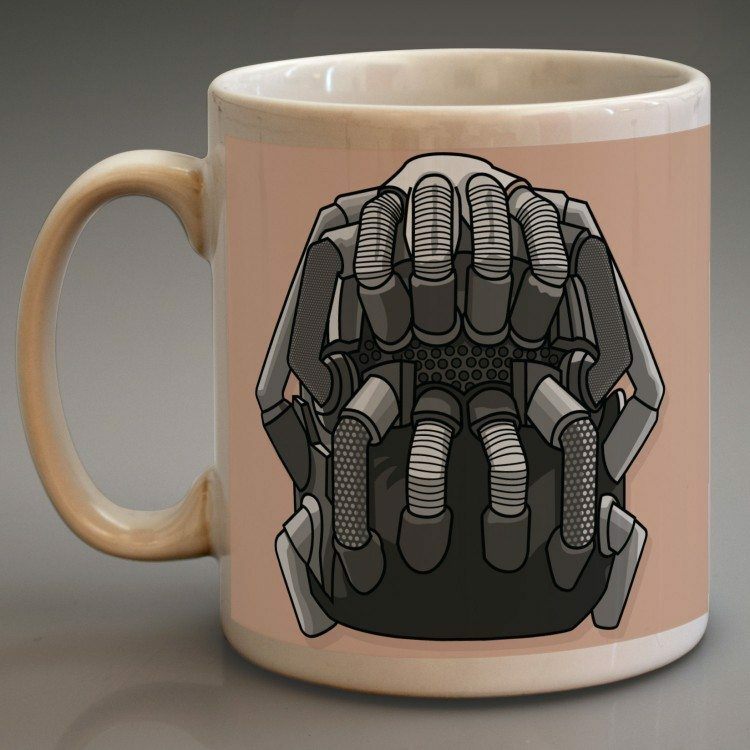 Personally, I like this mug, but it would only be appealing to people who are familiar with Bane from the comic books. 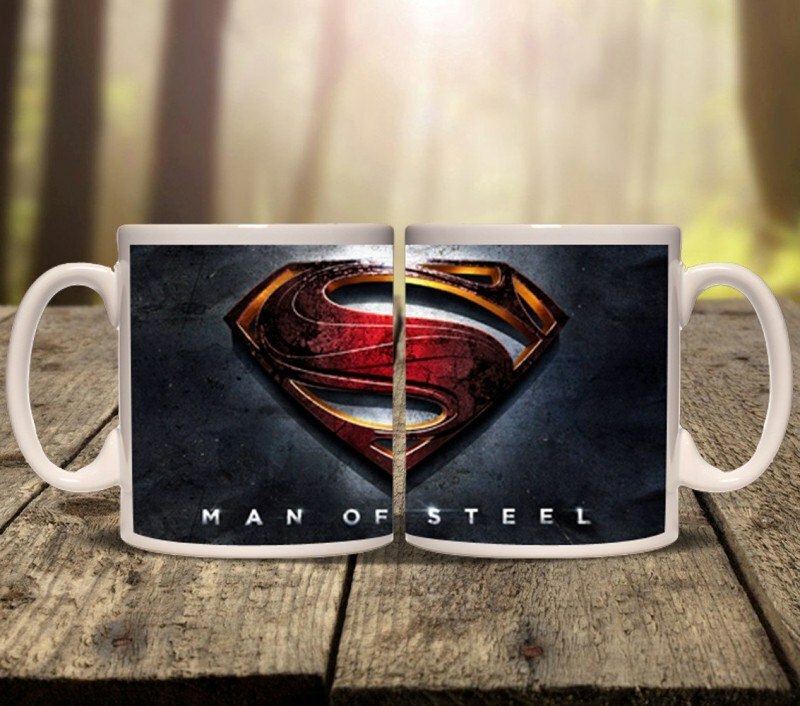 With this mug, I'm a little surprised at the two different image styles, but both of the images are fun in their own right.